Ethiopia is one of the many African countries that are working to provide their people with easy access to healthcare and medical facilities. The Ethiopian government, however, recognizes that many people are still unable to get access to healthcare, and as such, has allowed several missionary organizations to start medical ministries. Below is a list of the top ten Christian medical ministries in Ethiopia. Global Health Ministries collaborates with the Ethiopian Evangelist Church Mekane Yesus (EECMY) to support a remote Central Ethiopian mission hospital. This hospital, called Aira hospital, is located in the small town of Aira. The dedicated staff at this hospital serve thousands of patients every year, providing surgical services that would be otherwise unavailable. The hospital receives at least 250 outpatient visits daily, and has 80 in-patient beds for those who require admission. This hospital is also home to the Aira Midwifery and Nursing School, which equips nurses for medical service in remote and poverty-stricken areas. The training curriculum at this school includes training in preventive healthcare, with a focus on prevention and early detection of breast and cervical cancer. The members of this alliance are Christian Healthcare Professionals who strive to teach and care for the well-being of the whole person in mind, body, and spirit. GMMA invites mission organizations to partner with them, to support and enhance their work in building God’s kingdom by connecting them with like-minded organizations and individuals. In Ethiopia, the GMMA partners with the MyungSung Medical College (MMC). MMC educates healthcare providers in God’s love and empowers them to develop future capacity building of Ethiopia’s health sector. Ethiopia ACT is another of the Christian medical ministries in Ethiopia, and is a community-based organization that places a high priority on public health intervention. This organization designs innovative and effective health strategies, especially in the area of HIV/AIDS treatment support, as well as in other public health areas like cervical cancers, child malnutrition, sanitation and Tuberculosis. 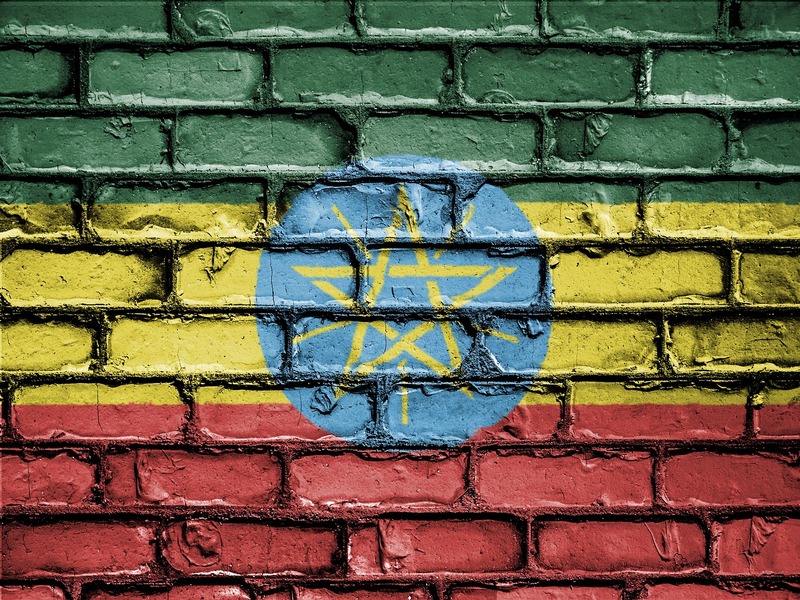 Ethiopia ACT seeks to reduce the impact of inequitable access to health care in a setting that has limited resources. This organization backs up the local medical system and encourages local communities to adopt health-seeking behavior. Ethiopia ACT also partners with short-term medical experts to reach out beyond their beneficiaries to the local churches and community at large. The Pan-African Academy of Christian Surgeons was formed as a strategic response to the need for surgeons in Africa. This organization focuses on training African physicians to become surgeons who are willing to remain in Africa and help meet the need for surgical care. Surgical and spiritual training of the residents is offered at several well-established evangelical mission hospitals in Africa. This training takes place under the direction of board-certified, experienced missionary surgeons. In Ethiopia, PAACS runs its training programs at the Soddo Christian Hospital in Wolaitta, Ethiopia. Craig and Alison Fowler, missionaries from the High Lakes Christian Church in Oregon, USA live and work among the Gumuz, an unreached people group in Western Ethiopia. Craig focuses on evangelism, church leadership and church planting, while Alison focuses on community health services. Together, the couple operates a medical clinic where they live, in Aygali, a town in a very remote area between two major rivers, the Blue Nile and the Beles. The medical clinic was set up with the permission of the government, as a service to the local people. Soddo Christian Hospital is located in Wolaitta, in the highlands of Ethiopia close to Addis Ababa. This hospital has an inpatient capacity of 200 beds. The hospital staff also serve as faculty in several established training programs and residencies, contributing to the raising up of the next generation of health professionals. They also focus on building local capacity. Soddo Hospital is a PAACS training site, and has several Ethiopian residents engaging in a 5-year general surgery residency program. Medical Ministry International has collaborated with HOPEthiopia since 2015. The aim of this partnership is to bring dental care, vision services and primary care closer to the people of Ethiopia. One of MMI’s projects is an optical and surgical project in Harbu Chulule, where the main clinic and surgery days are held at Harbu Chulule Health Centre. Patients who come to the clinic are offered vision screening, diagnosis, refraction glasses and scheduled for surgeries. MTW missionaries form part of the staff at Ethiopia Aids Care & Treatment (ACT), which addresses nutrition, healthcare, housing, education and family care. MTW and Ethiopia ACT aim to reduce the impact of poverty in Ethiopia by providing holistic services to the people. The MTW missionaries seek to train the next generation of healthcare providers in Ethiopia, thus contributing to the improvement of healthcare services in the country. With the help of MTW, the Ethiopia ACT has helped over 20,000 AIDS victims regain hope, health and life. CMF is another of the Christian medical ministries in Ethiopia. Missionaries from this organization work in both semi-urban and rural areas of Western Ethiopia. CMF’s ministry to the Gumuz people is based at the stations on Ayagali and Yamp, located north of the Blue Nile River. The missionaries operate medical clinics in these remote areas as a way of demonstrating to God’s love to the people, as well as opening doors for the Gospel to reach this unreached people group. This combination of medical ministry and evangelism has so far been very successful among the Gumuz people. The vision of this medical centre is to play a pivotal role in African missions, thus acting as a bridge for other evangelical work. At this medical centre, medical staff are provided with Christian faith-based training. The MyungSung Medical centre, which opened in 2004, plays a central role in the fields of medicine and education. The centre collaborates with international organizations, evangelistic churches and other mission organizations around the world to provide healthcare to the people of Ethiopia. The mission of the centre lies around showing the love of Jesus to the people by providing medical services to those who are unable to get proper medical care. Above are the top ten Christian medical ministries in Ethiopia. Through these ministries, the people of Ethiopia are able to access quality healthcare at little or no cost! I am a nurse. My name is Ayantu Fekede.I have BSc degree in nursing from Jimma university. Then afte 5years of experience in Black Lion Hospital i had my MSc degree in and child health from.Addis Ababa university this year. I need job with you guy. I need job related to children. If you have a vacancy that can fite, please help me. my name is Hanna Mengistu i am senior nurse professional. i am looking good job in addis ababa. I am tumaydesta ,18 year old Ethiopian looking for medicine scholarship. i mean totally free scholarship. dear sr i’m Ethiopian, an I have graduated with diploma before 6 years. but in case of financial problem I can’t study my bsc. I’m so happy if you can help me. thank you dear!!! my God bless you!!!! Good morning. I just came across this and I don’t know if is too late or not qualify for this. By the grace of God am born-again Christian doing well in serving Him. Married and lives here in Ethiopia northern part am also a nurse with bsc, and masters in public health. So am requesting for a chance when available to work with you. God bless. tedwollo universty in 20014Gc now am werking in governmental hospitsl of ethiooia with one year of exspriance .am want to learn medcine if i get the chance of scholar .tank you. I am Mucheye, I have BSC degree in nursing from University of Gondar, Ethiopia, and i want to pursue my Human Medical Doctor in any country in the globe. If i get the sponsorship who donate about $15,000-20,000, I can learn even in my home country since the education opportunity is there. i am ethiopian and looking for medicine scholarship anywhere. I am yared ,18 year old Ethiopian looking for medicine scholarship. i mean totally free scholarship.